These are items that we are asking members to take action upon. To our great relief, 2 Amtrak-killing amendments to HR 2577 were defeated in a late night Congressional session last week. However, the bill, slated for a final vote this coming Tuesday, June 9, makes deep cuts in FY2016 funding for Amtrak, local transit and the TIGER grant program that has been used so successfully by communities around the country to improve their non-road transportation infrastructure. Please read the information below and click on the “Send a letter” button to contact your Representative in Congress. You can tailor the letter with your own comments on why this is important to you or give examples of how you benefit from trains and transit. Remember that you are writing as a individual who uses and values passenger train service and not as a representative or member of MARP. Brooks amendment to eliminate Amtrak’s capital grant: defeated by a vote of 139 – 286 (Roll Call No. 304). Brooks amendment to eliminate Amtrak’s operating grant: defeated by a vote of 143 – 283 (Roll Call No. 303). You can include in your message a pat on the back if your Congressperson opposed the amendment. Please feel free to forward this to others who support trains. Michigan Public Transit Association and the Michigan Environmental Council will host a meeting and conference call/Go To Meeting event for all interested parties at 3:30 p.m. Thursday, May 15th at the offices of the Michigan Municipal League. The purpose of this meeting is to coordinate advocacy efforts to assure all new transportation money go through the current funding formula. This will ensure that recipients of CTF funds, including public transit, will benefit from the changes being considered in the Legislature. Gov. Rick Snyder’s office has expressed its support for this concept; now we need to work to make it happen, using our lobbying, grass roots and communications assets. If you cannot attend, you can access the meeting by a conference call at 1-888-812-9637, passcode 548-270-63-22#. We will be determining whether we need to use the Go To Meeting tools between now and Thursday, so keep an eye open for additional emails on that topic. The proposed agenda is straightforward. Our goal is to hold this meeting to under 1 hour. 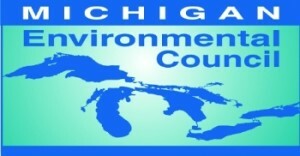 Welcome, discussion of current situation: Clark Harder, MPTA, others. If you feel an organization should be included in this email, please feel free to invite them to Thursday’s meeting. For more information, please contact David Waymire or Jessica Tramontana of Martin Waymire at 517-485-6600. The Canadian government has decided to cut it’s passenger service subsidy to Canadian National Railway (CN) for the section between Sault Ste. Marie and Hearst known as the Algoma Central Railway(ACR.) 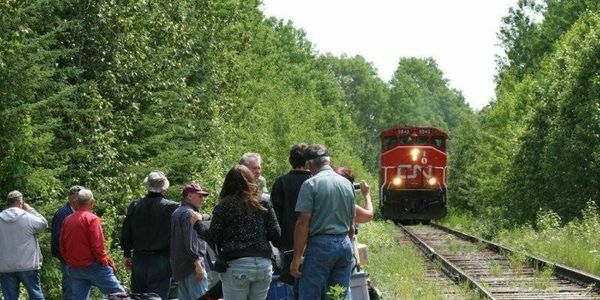 As a result CN will no longer run the passenger train along this historical and economic route beginning April 29, 2014. An online petition has been started in hopes of changing CN and the Canadian government’s decision. The Coalition for Algoma Passenger Trains (CAPT) announces All Aboard! To save ACR Passenger Train. This is a series of 3 Town Hall Meetings/ Media Events with a train trip on the ACR between the Wawa and Hearst meetings. Guest speaker, Harry Gow, transportation expert and founding president of Transport Action Canada, will be able to enlighten us about efforts elsewhere in the country to stop rail cuts. Following the Sault Ste. Marie meeting, the next morning (Thursday) the guest speaker and CAPT supporters will drive to Wawa. Following the Wawa meeting a delegation will have lunch at the Big Bear Restaurant in Hawk Junction and board the train to Hearst for the 8:00 pm meeting there. On the morning of Friday, Feb. 21 the delegation will return by train. All are invited to join us for any of the meetings and for the train trips on the 20th and 21st. We extend a particular invitation to the media to be present for this series of meetings and train trips. The town hall meetings will provide an opportunity for the public to express their concerns about the devastating effects that the announced termination of the ACR passenger train service will have on the region’s tourism, on local businesses, on population retention, on the future of transportation in our region, on the environment, on people’s access to regional health care and postsecondary institutions to name only a few. All Aboard! To save the ACR Passenger Train provides a perfect opportunity for the media to hear the full extent of the impacts that this decision will have on our region and to hear the evidence that the decision was made with clearly false information about supposed alternative transportation to the areas serviced by the ACR. The following are resources for people concerned about the recent announcement of the cancellation of passenger service in Canada. Canada MOT cuts threaten all of VIA. A poll has shown that Canadian passenger train service has shrunk so far that the public no longer supports VIA continuing as a Crown Corporation. CAPT and the Sault Ste. Marie Chamber of Commerce (Ontario) seem to be spearheading the effort to at least stave off the March 30 termination of passenger service. They are asking that letters of support be sent to Bryan Hayes (bryan.hayes@parl.gc.ca) and Carol Hughs (carol.hughes@parl.gc.ca), both Members of Parliament from affected areas along the route. •Hearst: Feb. 20 at 8:00 pm (those of us travelling from the Sault will drive to Wawa for that meeting and then we’ll take the train from Hawk Junction to Hearst in the afternoon and return that way the next day). Transport Action Canada has agreed to cover the costs of sending rail expert and founding president of Transport Action Canada Harry Gow to be a guest speaker at all 3 meetings. He is fluently bilingual so will be able to speak in French in Hearst and to the Francophone media.